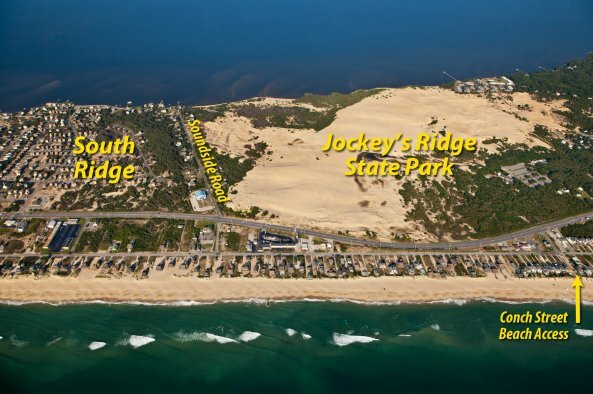 Tucked in next to Jockey's Ridge is the lovely community of South Ridge. 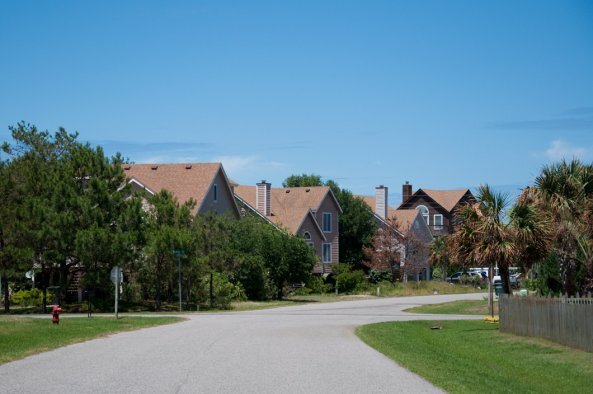 Quiet streets wind through the pines and live oaks, down to the Roanoke Sound and historic Soundside Road. 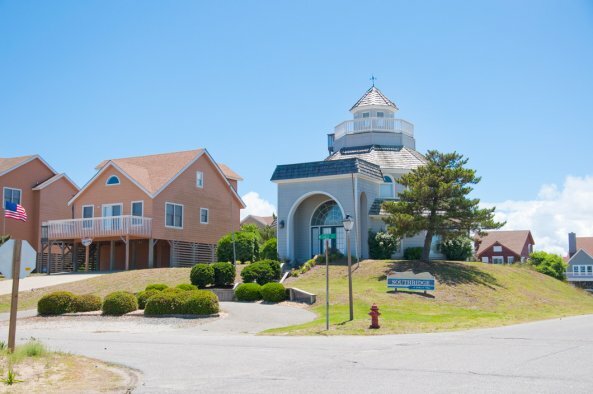 You will feel miles away from the world, yet you are convenient to many of the Outer Banks best attractions. 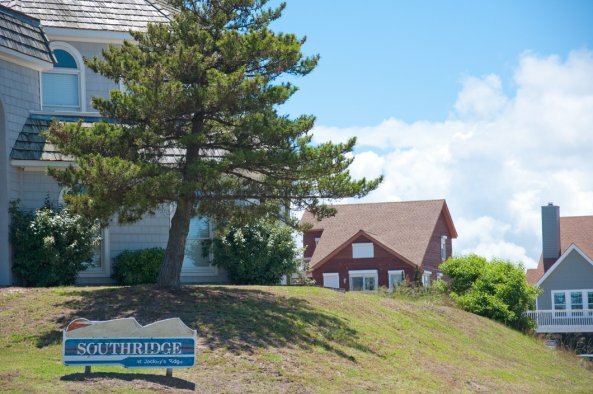 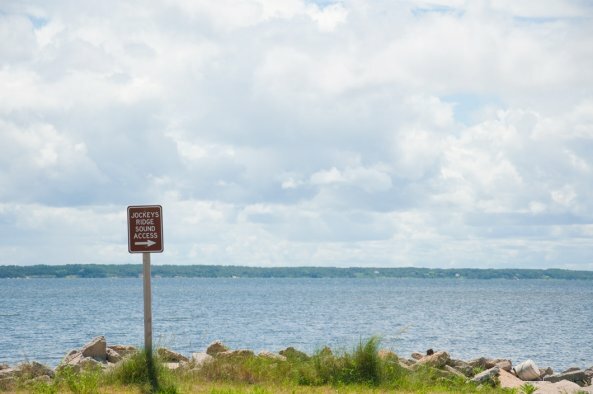 Dining options like Mulligans and the Blue Moon Beach Grill are just across the bypass, and there are lots of fun shops at Jockey's Ridge Crossing and Pirate's Quay nearby. 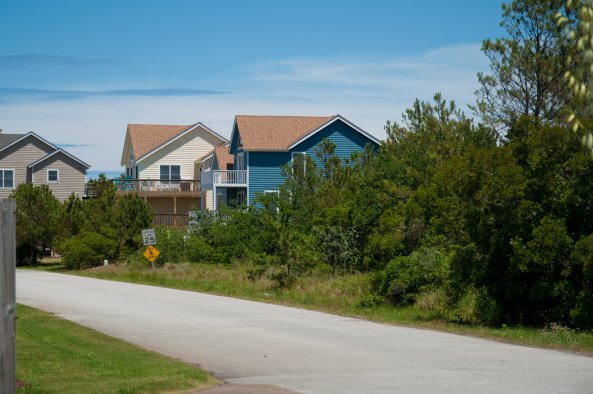 Your closest beach access is at Conch Street, where you will also find Austin's for fresh local seafood, as well as one of the Outer Banks original Brew Thrus!